Yes we have made it! I wanna say THANK YOU VERY MUCH. 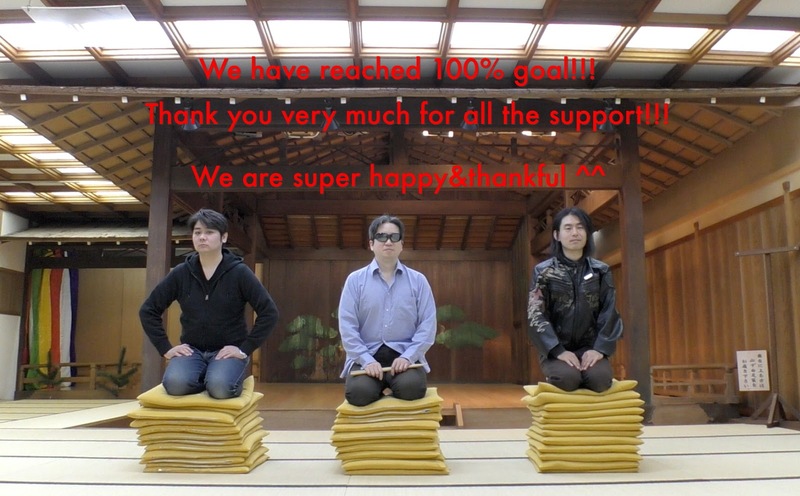 Now our “Jesus Wind” campaign has reached 100% goal!! We would not have come this far without your support. Each of you. So let me say thank YOU very much one more time. Each of your support, very encouraging, thank you for believing in us. Thank you for believing in Christian rock. Thank you for believing in the power of music. Thank you for helping us spread God’s Love in Japan and beyond. We will keep on rocking for Jesus. Now I believe we can release “Jesus Wind” in a good manner. I mean, the CDs with lyrics and stories and all. When we recorded this album, we didn’t know how to make a proper package to tell the story behind this concept album. Now we can do it with all your support. How great is that! Can’t wait to release the album and share all the music with you. It means so much to us. This campaign ends on October 1st 11:59pm PDT. We will start working on the release, manufacturing CDs, preparing downloads and other perks. We will post updates on IndieGoGo page and let you know about the progress. So stay tuned until we send out all the CDs and downloads. Again thank you very much. This has been a very precious and encouraging experience for us. Previous Post90% and 1week left!! Next PostNew Album Update: Ordered! !